The inauguration, and then the Women’s March, soaked up most of my attention the last couple of days. I’m not sure if my liver can stand four years of Trump.
.@RealDonaldTrump just set the world record for the guy rejected by more women in a single day in the history of humanity. What are you marching for? : I’ve seen some befuddled souls on the right asking “what do they want?” Here is the Guiding Vision and Definition of Principles released by the organizers of the Women’s March. Blueprint of Pain: Given the contradictory statements from the current administration it’s difficult to predict the future. However, there is a high probability that this Heritage Foundation document is guiding many of the decisions we’ll see over the next few months. Blueprint for Balance. If you don’t have time to read the whole thing check out the summary on page 159. The News: Nonprofit news organizations are more important than ever and ProPublica is one of the best. Here’s what they’re covering moving forward and the reporters on the beat. Commercial news is like sugar; it’s everywhere, it’s easy to consume, but it’s not healthy, and can make you sick if you consume too much. 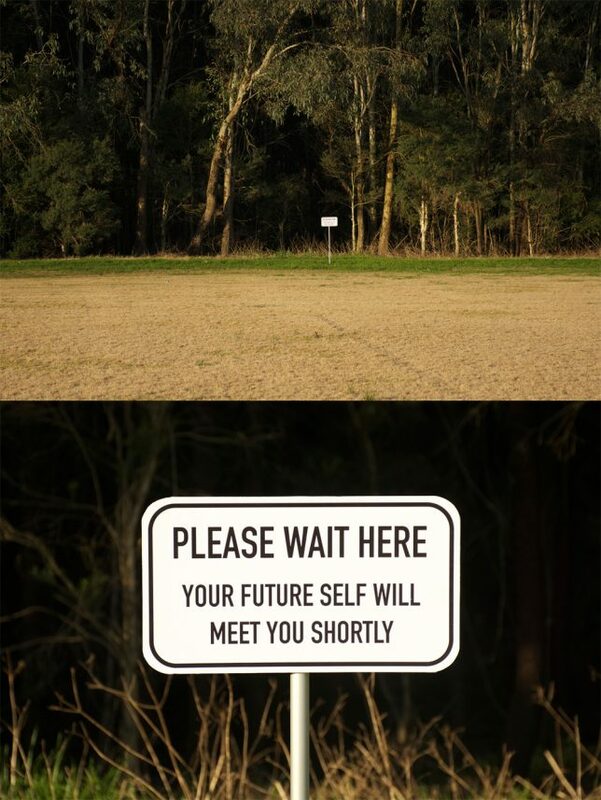 Surreality: The world could use more guerrilla street signs. Cartoon: Decluttering is healthy. Even in post-apocalyptic world. Movies: 366 Weird Movies. They have a little over two hundred so far. I’m happy to say I’ve seen about half. The rest have been added to my to-watch list for 2017. Concept New-To-Me: How it that I’ve never heard of Luxury Communism before now? 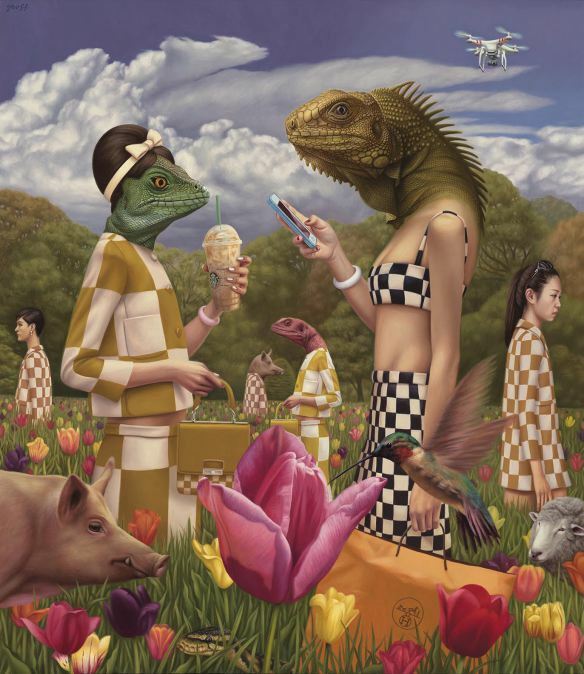 Art: The image below is Alex Gross, from his upcoming show Antisocial Network. 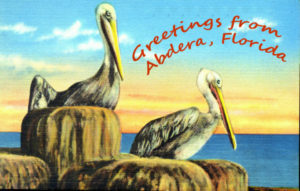 Editorial: My New Year’s resolution was to become more in tune with the moon. I downloaded the app Luna Solaria to my phone and check it every day. That helps. I still want to do more, so I think I’m going to start grabbing an image of the moon every day. Well, maybe not EVERY day until I get in the habit (or if it’s cloudy), but I’ll probably start tweeting a daily moon shot. I also added moon cycle information to my Google calendar (both private and the one I use at work) and my wall calendar shows the moon cycle. For now, it’s back to the word mines. Posted on January 22, 2017 by patadavePosted in Sunday SpectacleTagged Art, Blueprint for Balance, Luxury Communism, ProPublica, Surreal Street Signs, Weird Movies.